UPDATE: THIS PLACE IS CLOSED! 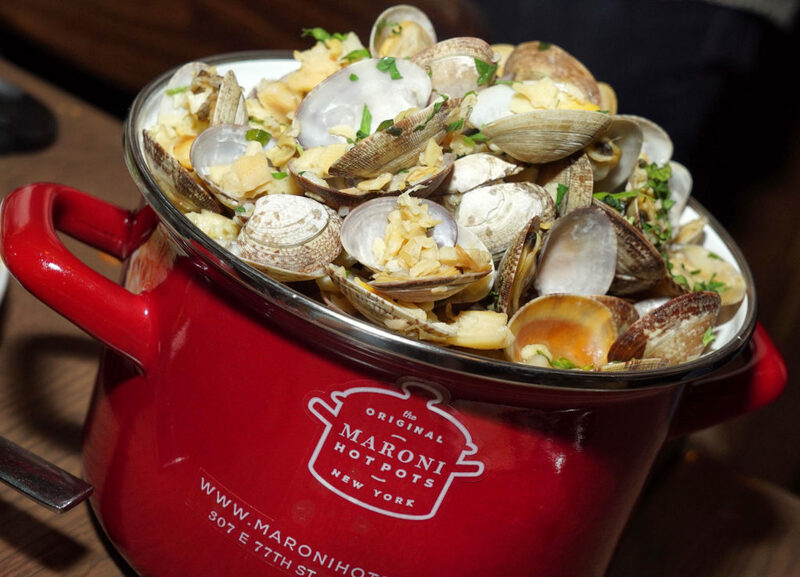 There’s a very interesting little concept restaurant on the upper east side called Maroni Hot Pots. The joint is mainly aimed at providing delivery service, but there’s still a handful of tables set up inside the beautiful little space. So what makes this concept unique? The pot. 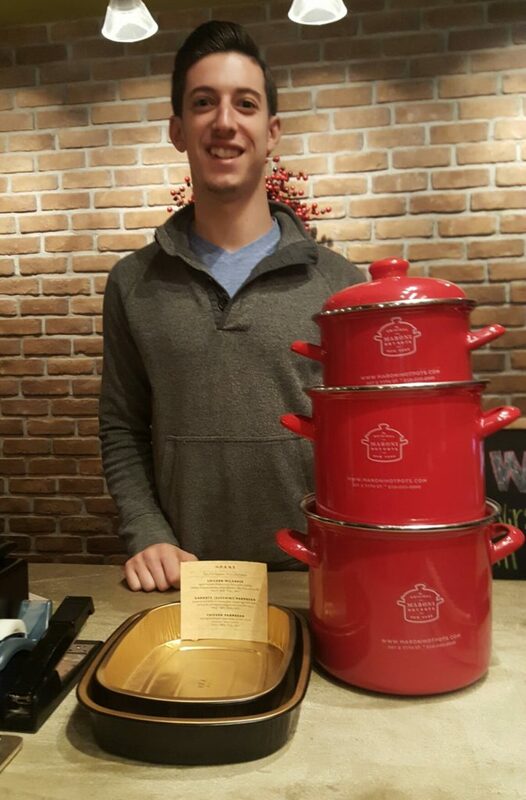 Many of their dishes are served (and delivered!) in really nice keepsake metal pots. Yes – you get to keep them. I’m not sure how useful they’d be on your stove top, but they’re definitely not cheap, crappy items by any means. At the very least you can use them as planters. Okay, but enough about the pots. We tried a lot of different items. 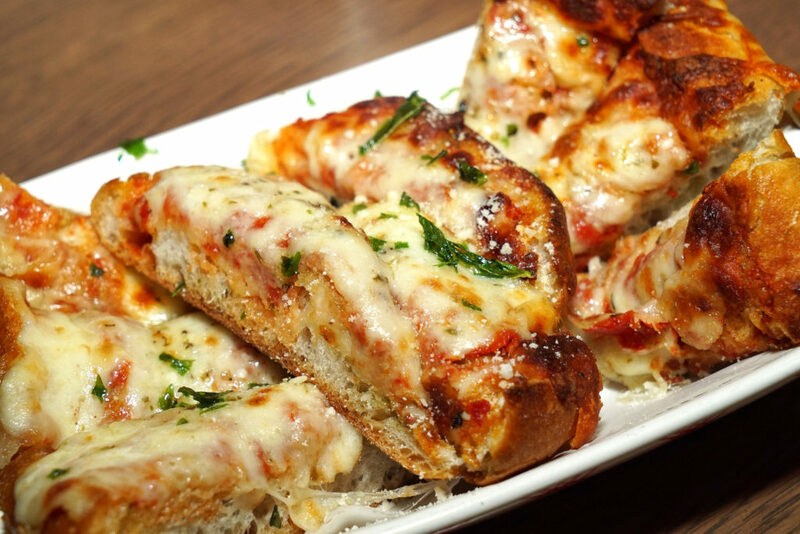 First up, pizza bread. 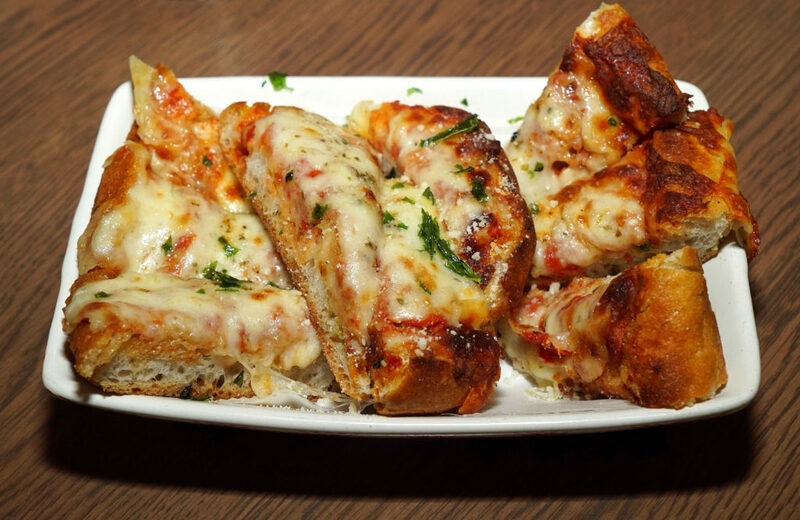 This is more like a garlic bread with cheese and sauce topping as opposed to your standard NYC style pizza. A more puffy, doughy pie. It’s served in a nice glass dish and it’s seasoned generously, topped with herbs as well. 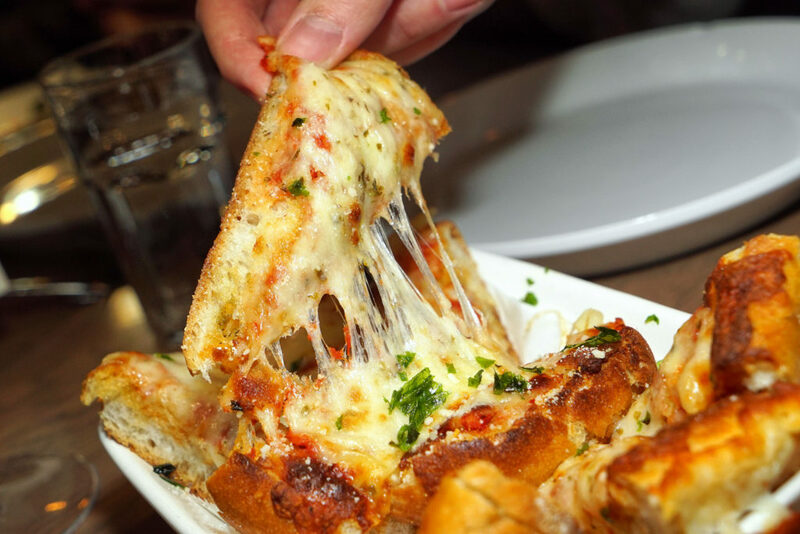 Essentially, it’s like a Sicilian pizza. 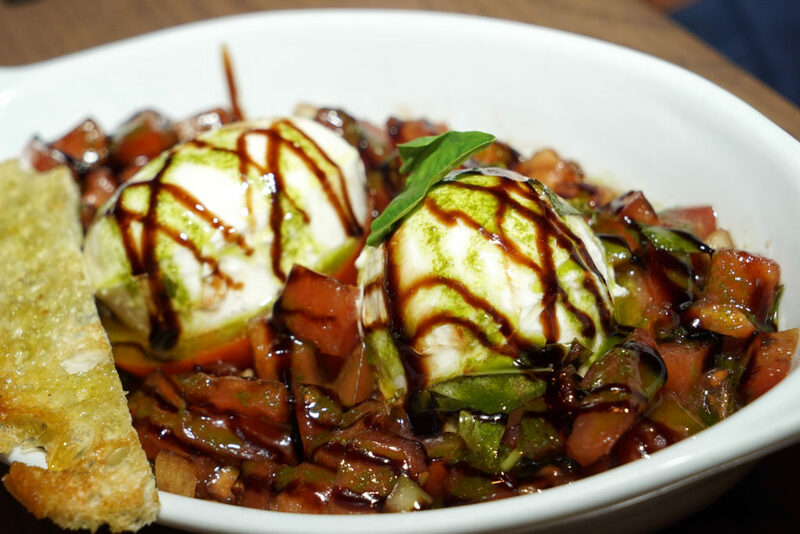 The fresh mozz caprese salad also exhibits stellar quality cheese, and the diced tomato, dresed with a nice balsamic, was a nice change of pace from an ordinary caprese salad. 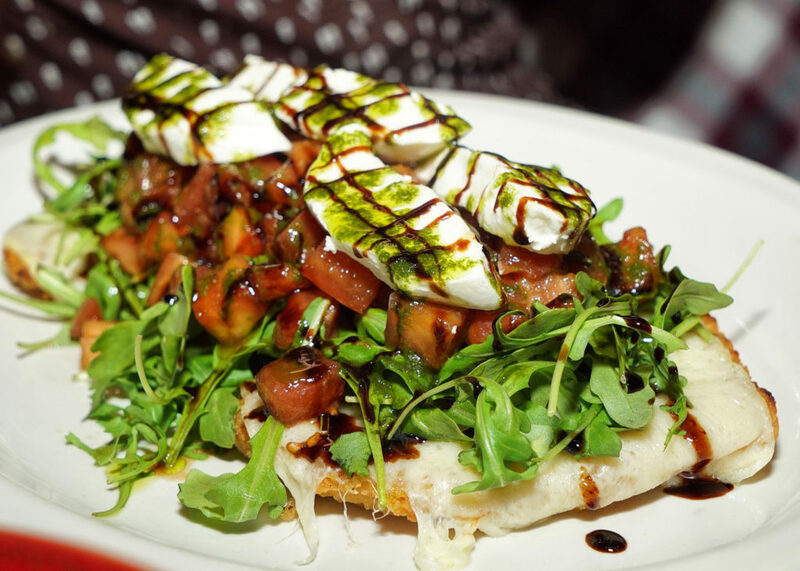 Throw that on top of a lightly breaded chicken cutlet with some arugula, and you have their delicious chicken milanese dish. But one starter they have become known for is their million dollar potato chip. 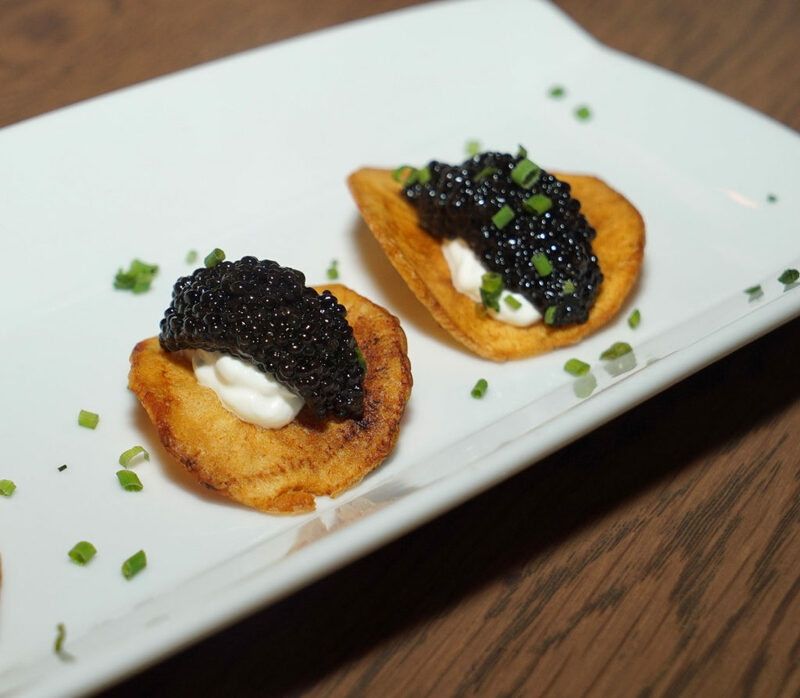 A thick cut, fried potato crisp, topped with fresh cream and caviar. Very tasty. 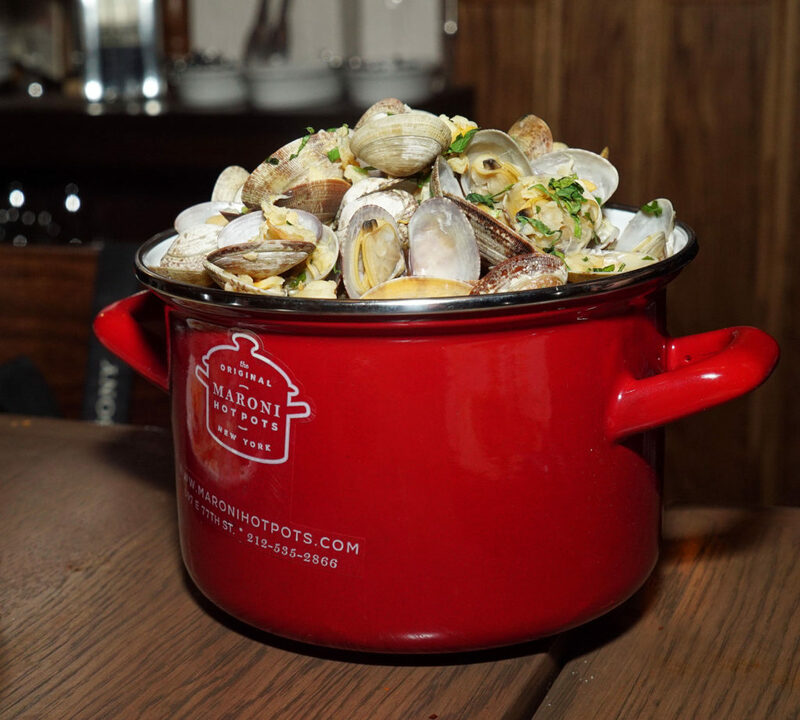 And it’s not often that you see baked clam dishes use high quality little necks or cockles like they do here. 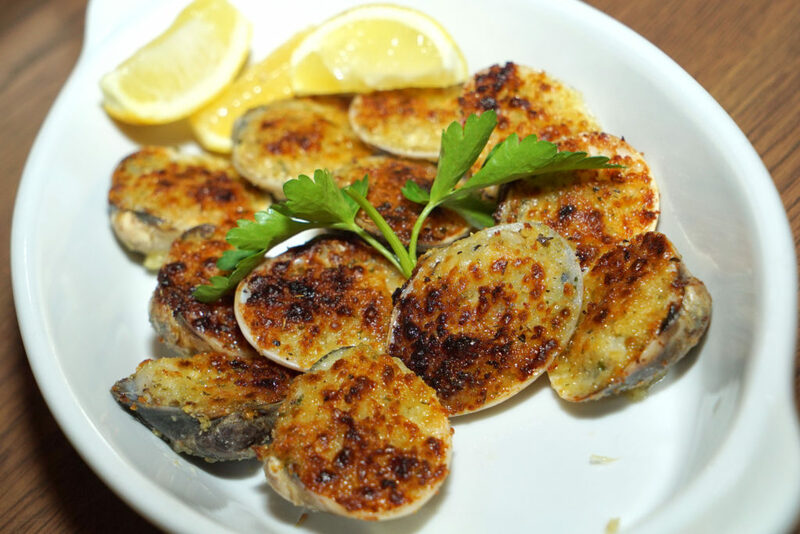 Most baked clam dishes use giant bait clams, with minced up meat inside. No thanks. These were whole clams, nicely breaded and stuffed, and then baked to perfection. Okay now for the pasta dishes. We tried a bunch. 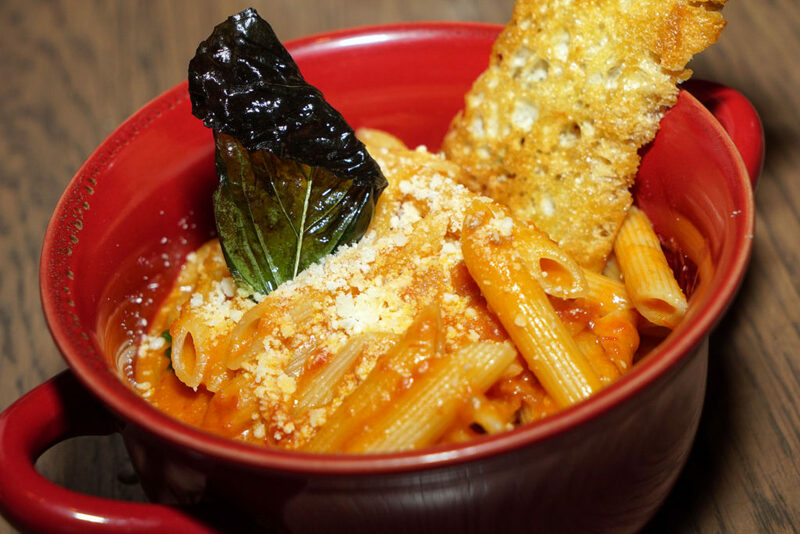 I’ll start with my favorite, the penne a la vodka. What I liked about this sauce was that it was more buttery than typical vodka sauces I’ve had in the past. 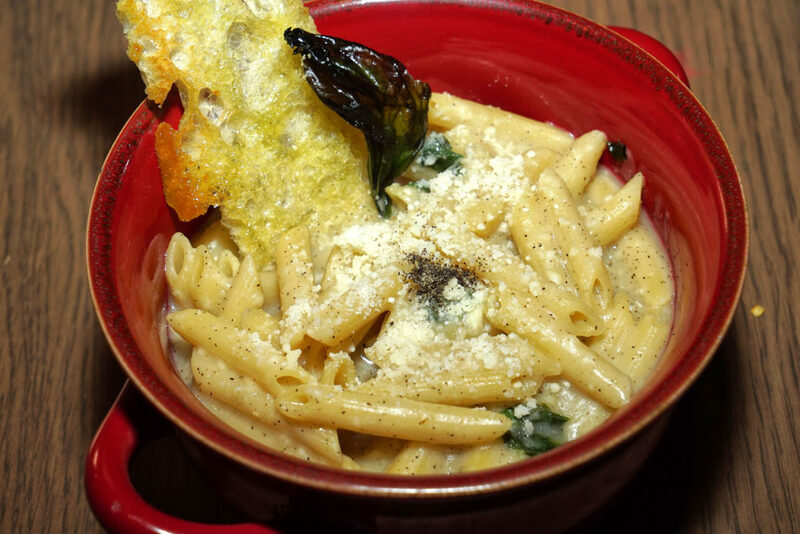 The pasta was cooked perfectly in this dish too. Their cacio e pepe is nice, but having just come back from a trip to Italy, I was a bit too spoiled to truly appreciate the dish. Cacio e pepe in Rome is just insane. Nothing quite comes close. I did, however, get a bunch of nice pics. As you can see, they used a penne pasta here as well. One specialty they’re known for here is their cognac sauce. 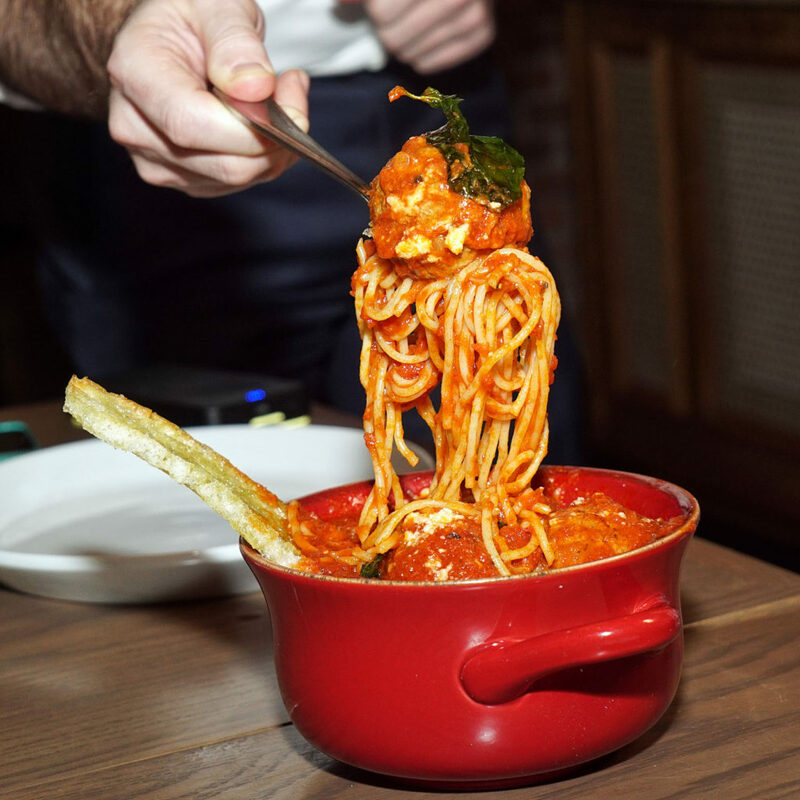 They hit their tomato sauce with some cognac, burn it off, and simmer it down. What they’re left with is a nicely sweetened sauce. 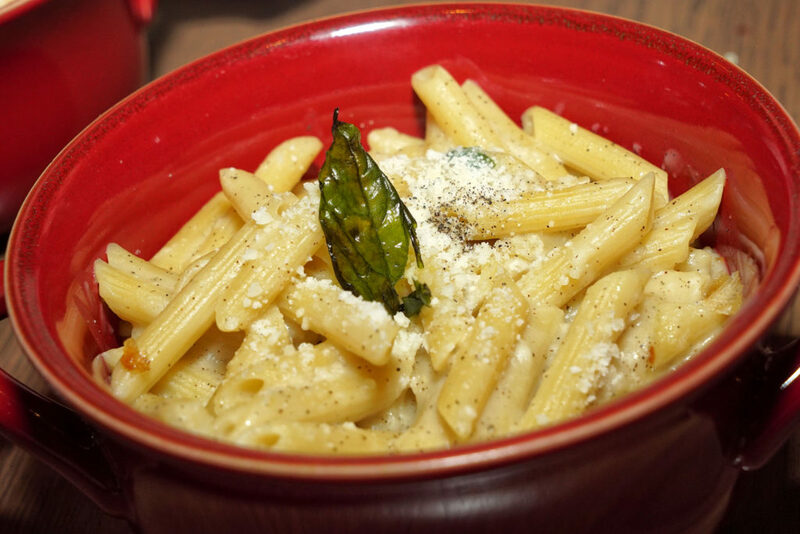 They serve that with rigatoni and a generous glob of ricotta for mixing into the sauce. Amazing. 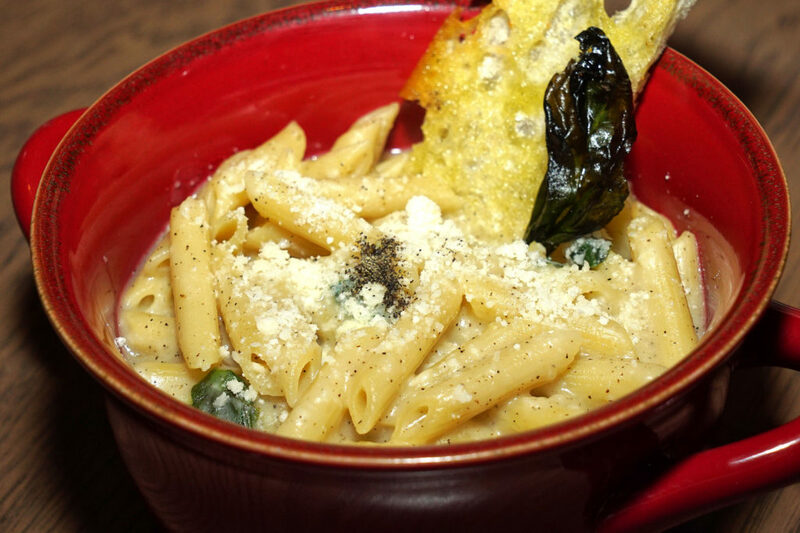 This dish has even been featured on local news stations. I highly recommend it. 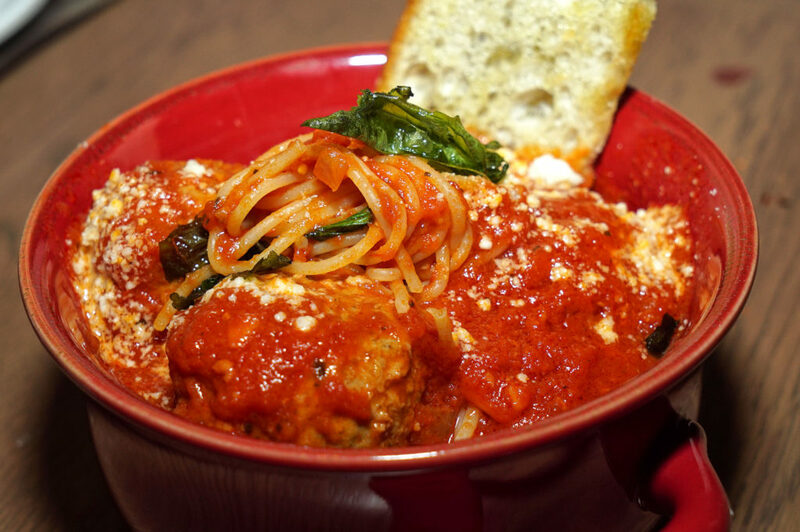 Last pasta dish: spaghetti and meatballs. This classic tasted great. 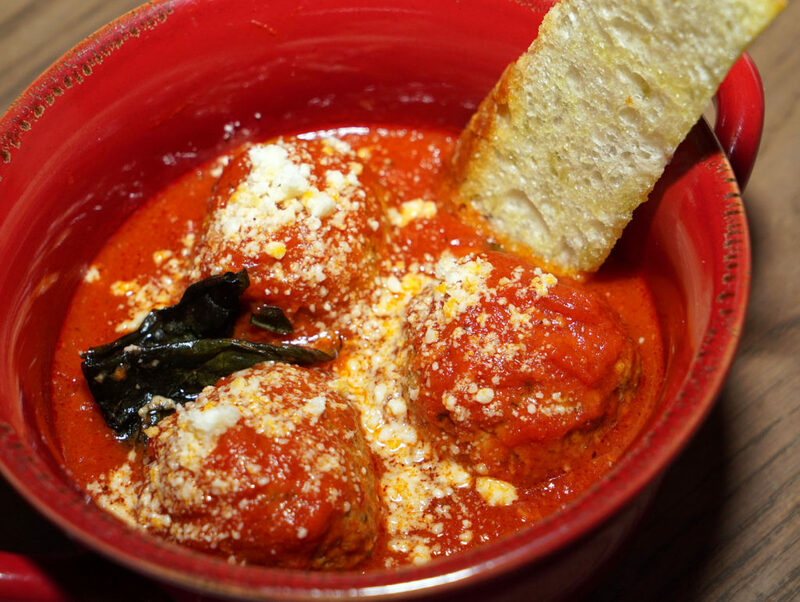 And while nothing beats mom’s homemade meatballs, these were pretty tasty. We had an order sans spaghetti as well. 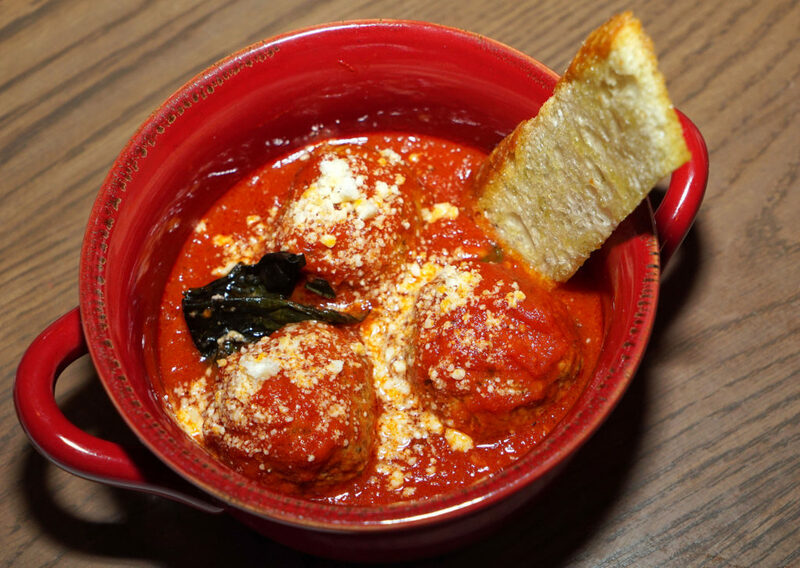 Like any Italian meal, there’s always more. 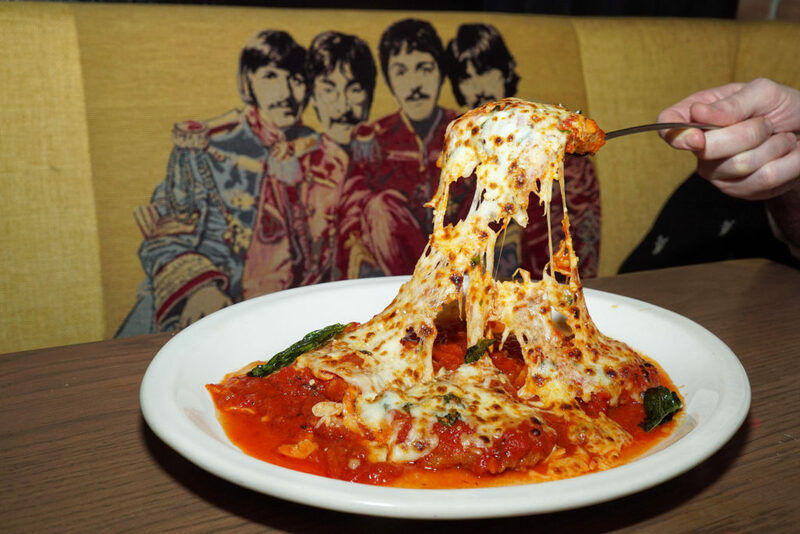 We also tried their chicken parm and gagootz (zucchini) parm. The last time I heard that word was probably when my grandfather was featured in the news for growing the biggest one in Long Island history out of his backyard garden, which, at one point, was more like a small farm. 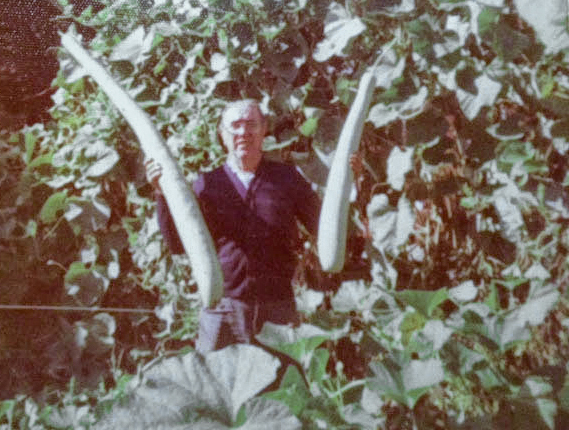 Here’s a shot of my grandfather’s massive gagootz (not the actual prize winning squash, however; that one was like 15ft, and we are still trying to locate the photo). FYI, the word “gagootz” is a dialected, faster way of saying the word “cucuzza” in Italian, which is a kind of squash. 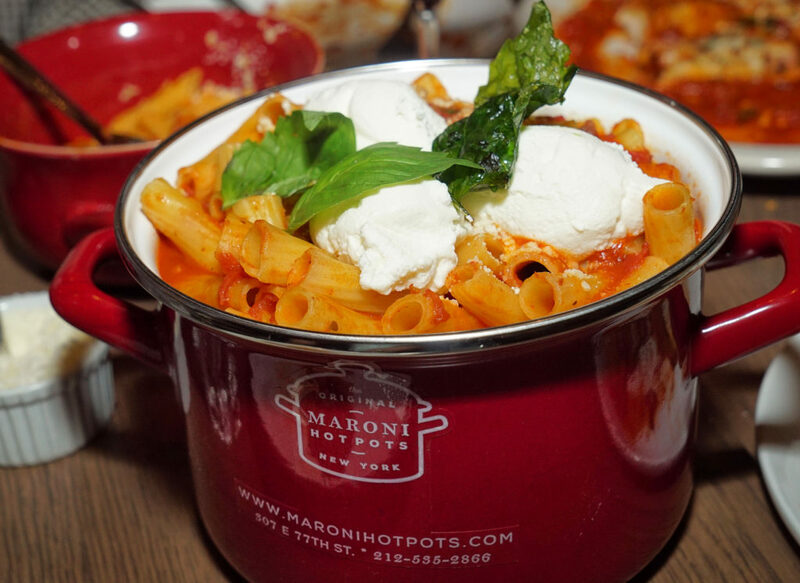 The word “gagootz” is typically used by Italians to refer to all types of squash, though, including zucchini, as is done here at Maroni Hot Pots. In any case, both parms were excellent, and both essentially looked the same, so I’m just using one picture to showcase them. Can you guess which one this is? The beatles are all over this joint, by the way, and the music is a great mix of classic rock. Anyway, I really enjoyed the gagootz parm. I’m not an eggplant fan, so swapping that out for zucchini is a great idea. The skin is much more pleasing, and the texture of the vegetable’s flesh itself is firmer and more snappy. 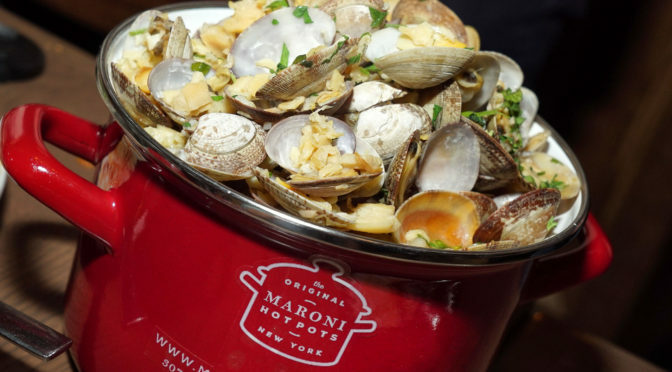 The Maroni family also owns a high-end, multi-course “tasting menu” style restaurant in Northport, Long Island. I’ve heard amazing things about this place, and, from what I understand, a reservation has to be made a month in advance because it is so well received. I plan to visit soon with my cousins. Stay alert for updates!